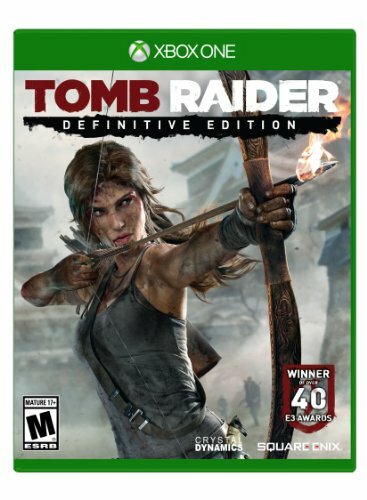 Tomb Raider: Definitive Edition Review — GamingWithSwag.com - Dads By Day, Gamers By Night. High Level Premise - 3rd Person Action / Adventure game. Lara Croft and her friends are shipwrecked on a mysterious island. Gotta find a way home. Graphics/Style - Beautiful palette of colors for the island locale. Caves are dark and gloomy, weather effects are top notch. Music/Soundtrack - The soundtrack really sets the mood, the intense parts of the game have some excellent, adrenaline-pumping tunes, and the sound effects are spot on. Story - The story is great, reintroduces the player to Lara Croft, as you progress the lore of the island is expanded upon. Character development for some of the other NPCs is a little weak, but still they do guide the story along as you go. Replay-ability - Tons of stuff to find on the island. There is reason to keep playing after completion of the main storyline. Time Commitment - I was surprised how often save points are between areas. This is excellent for someone like me who has to game in small bursts. The game is about 20-25 hours long for the initial storyline at a casual pace. Longer if you are a completionist and need to find everything. Value - It was free on XBOX Live Games with Gold last month, but it is worth every penny of the current retail price of $19.99. Favorite Element - There are so many! Jumping from rope to rope is cool, as well as riding a zip line down a giant mountain. This may be the best use of a bow I have ever seen in a video game. I have been putting this game off for literally years. I bought it the year it came out for PC, and it sat on my Steam client waiting to be played. Everyone said how good of game it was, amazing etc. "I will get to it eventually!" I said. Good thing I did. Tomb Raider is one of those franchises that I was big into in the 90s, and then something happened and I lost all interest. I remember heavily playing the original Tomb Raider for Playstation and the sequel Tomb Raider II. This new Tomb Raider (2013) is developed by Crystal Dynamics, the people who have consistently brought you several games in this series. They decided to reboot the series to Lara's origin story, give it a gritty look, and make Lara Croft more realistic. The Definitive Edition puts a bunch of polish on the original title, upgrading the graphics for XBOX One and PlayStation 4, and including all of the DLC. I feel wanting more after completing this title, and who can blame me? The game is excellent, one of the better modern gaming experiences I have had in a long time. The gameplay is smooth, the graphics are amazing, and the sound is some of the best I have heard on XBOX One so far. I really liked the ability to upgrade your weapons by finding scrap around the areas, it gives you extra incentive to go off the beaten path, rather than just march through a collect-a-thon. 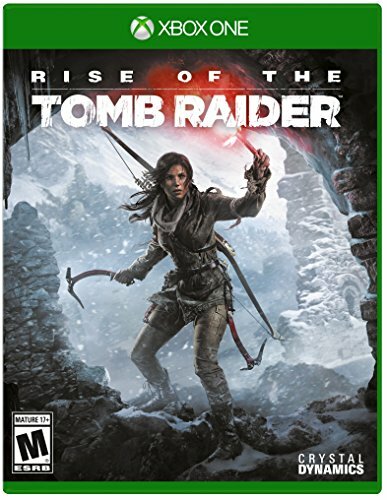 Luckily, the sequel Rise of the Tomb Raider comes out next month and I get to climb more mountains, utilize a bow and arrow, and raid some tombs all over again. I look forward to seeing what Crystal Dynamics and Square Enix have in store for Lara Croft, but if you can't wait check out the trailer below!